General Hospital (GH) spoilers tease that some massive shockers are coming up for the residents of Port Charles. Many lives will be changed forever, so it’s important to stay in the loop on the drama ahead. Naturally, the most crucial info ties to Patient Six in one way or another. 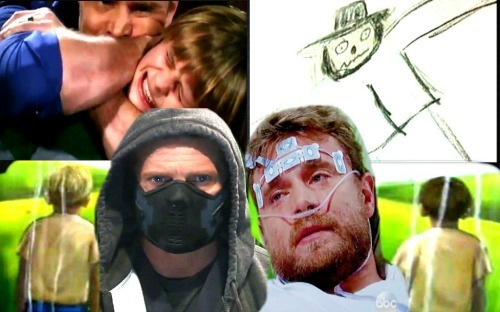 Here are four General Hospital spoilers you need to know. If you’ve been waiting on some action for Griffin, you’re in luck. GH spoilers reveal that Griffin is finally going to get a hot story. First, we’ll see an epic rescue mission. Griffin is determined to find Ava and get her away from this evil clinic. He can tell that something’s just not right. Once Griffin helps Ava gain her freedom, it’s easy to see that love will bloom. Griffin has been struggling with his feelings, but he’ll eventually have to accept that he’s fallen for Ava. He needs her in his life as more than a friend. They’ll face some serious obstacles, but it looks like a rich romance is in their future. GH fans are anxious to get to the bottom of Oscar’s secrets. It’s clear that there’s much more to this teen’s story. Oscar is a nice kid, but he’s got some pain buried under the surface. We’ll discover the details of Oscar’s background in the coming weeks, which will lead to a big reveal. In addition to meeting Oscar’s mother, General Hospital spoilers hint that Oscar’s father will be identified. Based on all the latest clues, the paternity bombshell is pointing in Patient Six’s direction. Oscar’s storyline is linked to Steve Burton’s comeback in a surprising way, so it sounds like Patient Six has a son who needs him. It’s been great to have Steve Burton back on our screens again, but we’re all anxious to get the other major players of this plot involved. To do that, Patient Six has to get to Port Charles. His arrival will affect Jason (Billy Miller), Sam (Kelly Monaco), Sonny (Maurice Benard), Carly (Laura Wright), Franco (Roger Howarth), Liz (Rebecca Herbst) and more. You can bet that total chaos will hit right along with Burton’s character. Once this familiar face returns to PC, General Hospital spoilers say we’ll see some fierce showdowns. Everyone will have to decide what they believe and why. Of course, the next step will be determining who the true Jason Morgan is. All the signs point to Burton being the real deal. The details about Drew will come out, so current Jason will have to process some misconceptions about himself. He’ll tackle some tough challenges as new developments unfold. Burton’s character will also struggle as he realizes recapturing his old life could be impossible. He’ll have to face unpleasant facts, but perhaps he can find a new beginning. The Jason saga will lead to some gripping scenes, so GH viewers will want to stay tuned. What do you think about these hot General Hospital spoilers? We’ll give you updates as other GH news comes in. Stick with the ABC soap and don’t forget to check CDL often for the latest General Hospital spoilers, updates and news.